One of the few spots in the city you’ll find a gluten free New York style pizza is Amici’s East Coast Pizzeria. With a full gluten free menu offering an extensive array of pizza toppings, salads, GF cheesecake and beer, this place seems to take great pride in catering to celiacs. 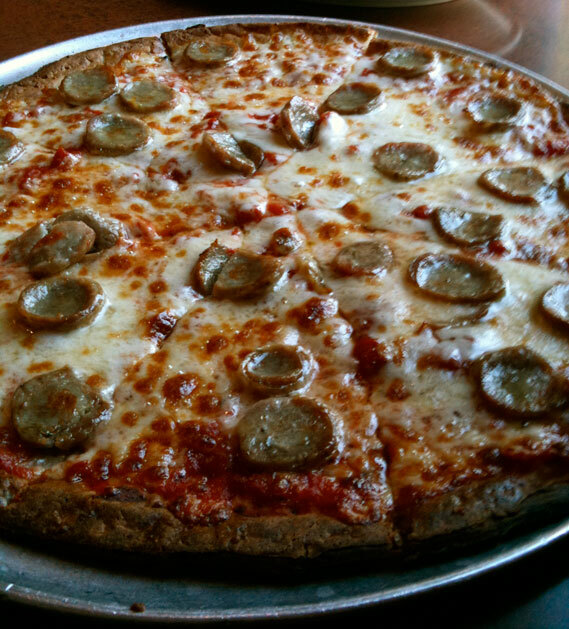 Their pizzas are made on a 12″ thin crust and baked to perfection in a wood fired brick oven. Though the price is a bit steep, (about $25.00 per pie) one of these pizzas is a perfect size for two hungry people. If you live within their delivery zone, order the pizza straight to your house, or enjoy the New York style diner at their Lombard St. restaurant in San Francisco (the only one in the city with a gluten free menu.) Other locations in the Bay Area and beyond should have all have the GF offerings (please check their website for specifics).